Here at You've Got MAIDS of Fairfax we strive for quality house cleaning work and customer satisfaction. We love hearing from satisfied customers, like you, about their clean homes. We received this response from a customer in Fairfax, Virginia. 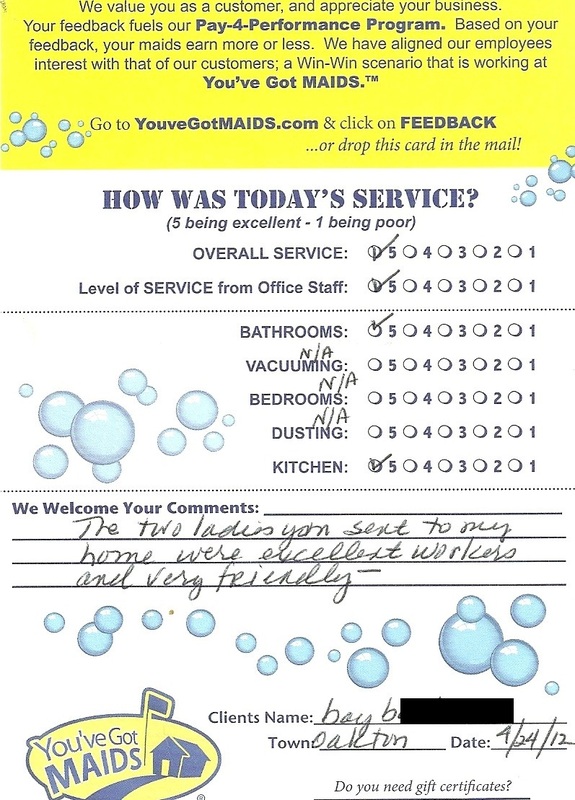 FAIRFAX, VA - Kristin "M" in Fairfax, Virginia is more than happy with her recent You've Got MAIDS house cleaning. She say the maids did a wonderful job! If you are searching for Fairfax house cleaning look no further...dial 703-352-6243 or start your house cleaning estimate here. Fairfax Maid Service Gives Great Customer Service! Here's a great Fairfax House Cleaning Review. Call us at 703-352-MAID to learn more. Great Arlington House Cleaning Review For You've Got MAIDS! 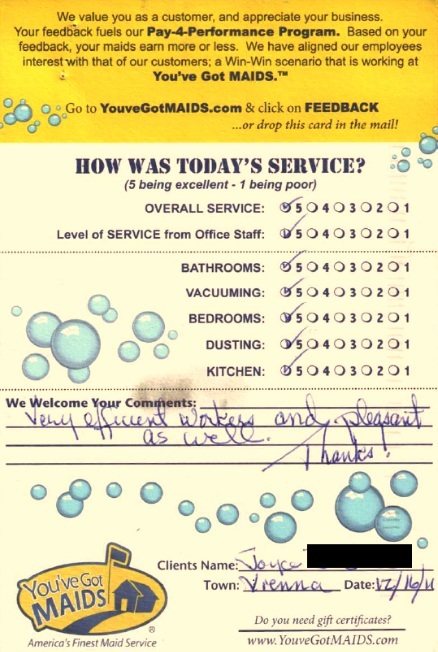 Great Cleaning Feedback For The Fairfax You've Got MAIDS!